A former bakery known as Bars Bakery in St. Paul, Minnesota has finally found a owner, and this empty space is now going to be Claddagh Coffee. 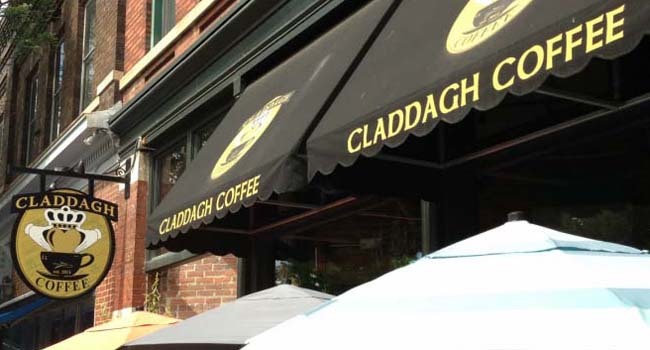 Mary Hogan-Bard has decided to open up Claddagh Coffee at the vacant spot on 612 Selby Avenue, which is the second Claddagh Coffee in the area. Hogan-Bard is the owner and operator of Claddagh Coffee on West Seventh Street, and people have been asking her for years about opening another Claddagh Coffee location. Hogan-Bard had been thinking about it for a while, then when Bars Bakery left the spot on Selby Avenue near Dale, she decided that this was the perfect spot for a second Claddagh Coffee shop. Hogan-Bard said she lives just three blocks away from the area, and that this was a great neighborhood to put in another Claddagh Coffee. Hogan-Bard is excited to have the bakery space, which she hopes to utilize with her specialty coffee shop, which has a very mom-and-pop feel. Hogan-Bard knows that people are becoming more excited about the smaller mom-and-pop types of places, noting that specialty coffee shops are now something people are excited about, and it’s a lot more unique than a national chain like Starbucks. Hogan-Bard said that moving into the Bars Bakery spot will allow her to finally bake everything at the location for Claddagh Coffee. As of right now, Claddagh Coffee features baked goods that are made in a different location, since the current Claddagh Coffee site does not have the space to allow her or her staff to make the goods right there. This is why she was so happy to hear about the former Bars Bakery location opening up, because it has the bakery access she was looking for, and she could not pass up the deal to put in a second Claddagh Coffee shop in the Twin Cities. Hogan-Bard said that monster cookies, macaroons, and scones will all be on the new menu. Hogan-Bard also will have baked breads available, such as pumpkin bread, lavender lemon bread, and carrot ginger bread. There will be a catering operation at the location on Selby Avenue, where you can get sandwich platters and paninis. The Claddagh Coffee shop of course will have a variety of coffee treats available too, including espressos, lattes, and cold presses. 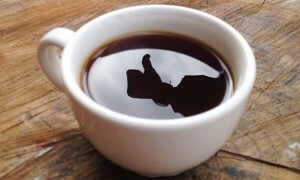 Hogan-Bard will also have organic and fair-trade coffees available too, so there will be a little something for everyone at the new Claddagh Coffee location. Hogan-Bard said that she is anticipating that the opening of Claddagh Coffee on Selby Avenue will be the first of October, so stay tuned to hopefully see updates on the progress of turning Bars Bakery into Claddagh Coffee. Next articleGoPro Inc (NASDAQ:GPRO) Hero 3 vs GoPro Inc Hero 4 — What’s the Difference?